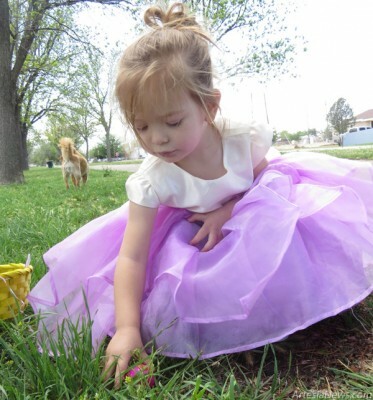 Above, 2-year-old Lacie Lynn Palomin plucks an egg from the grass at Eagle Draw on Easter Sunday. 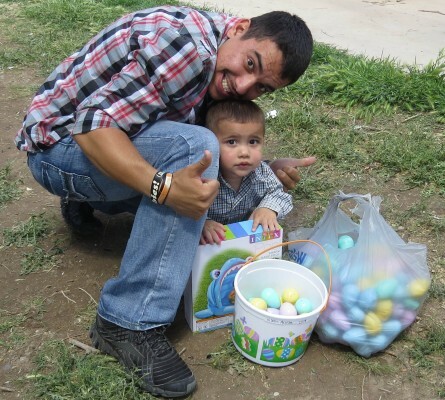 Below, Noah Acosta, 2, poses with Aron Acosta after winning the 1- to 5-year-old division of the Community Easter Egg Hunt Sunday morning at Roberts Park. With the weather mild following Saturday’s rain, Artesians enjoyed the holiday outdoors with egg hunts, games, and family meals. See the cover of Sunday’s Community Living section for more photos from the community egg hunt.